Principal and Senior Scientist, Grassland Conservation Services, LLC. Lesser Prairie Chicken Ecological Strategy & Management Plan Development, Site Identification, and Landowner Negotiation Support, USFWS Interface/Strategist and Land Trust Interface. Stephanie is the Principal and Senior Scientist of Grassland Conservation Services, LLC and works with Common Ground Capital on a consulting basis. She holds undergraduate and master’s degrees in Wildlife Ecology and Management and Rangeland Ecology from Oklahoma State University (1999), and has been a professional member of The Wildlife Society and Society for Range Management for 20 years. Between 1999 and 2007, she was employed by the US Fish and Wildlife Service as the lead biologist overseeing the national status of the Lesser Prairie-Chicken. In that capacity, Stephanie coordinated multi-state and local recovery efforts for multiple grassland species under the Service’s High Plains Partnership Initiative. 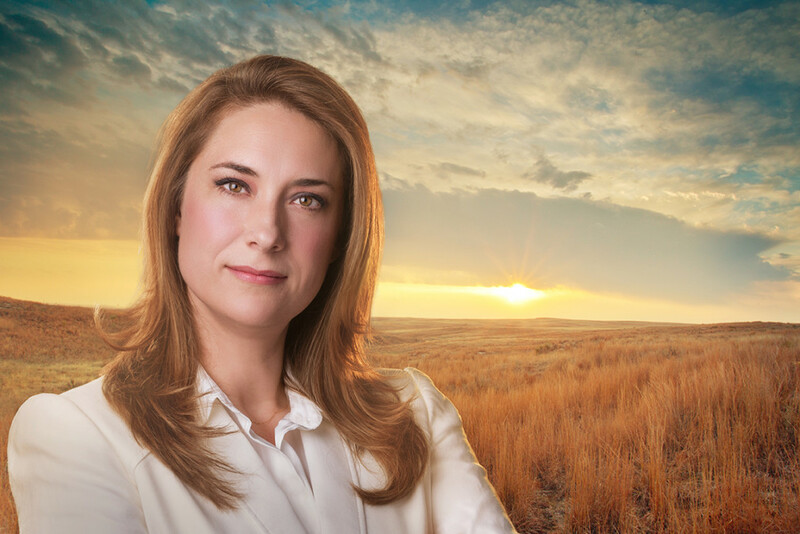 She has extensive experience negotiating and delivering financial incentives to private ranchers to implement grazing management and prescribed burning plans, and has delivered habitat restoration plans for over 30,000 acres in Oklahoma and Kansas. In addition to co-authoring and collaborating on research papers on eastern wild turkeys, white-tailed deer, wood stork, wolverine, and prairie-chicken, Stephanie has also been instrumental in the development of the North American Grouse Partnership, the first national non-profit organization to specifically address grouse conservation. Since 2007, Stephanie has been employed by the Ranchland Trust of Kansas, Inc. as the coordinator of the first Prairie Chicken voluntary conservation offset project for a wind energy facility in the nation. This 26,000-acre project, funded by EDP Renewables (formerly Horizon Wind Energy), is located in the Smoky Hills of Central Kansas. Stephanie resides in rural Wamego, Kansas with her husband, son and daughter.